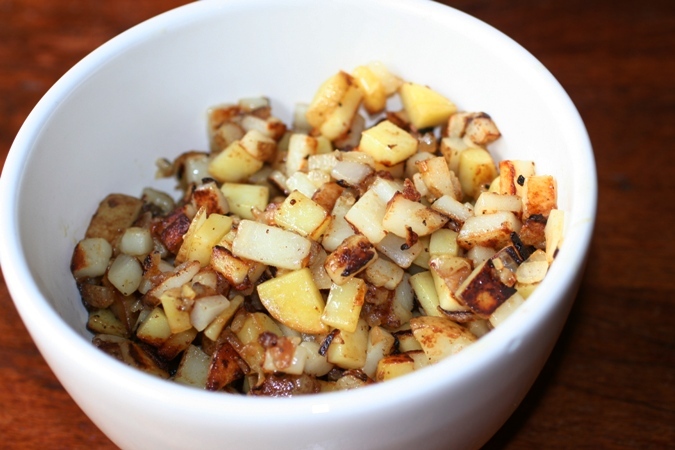 Hashbrowns are probably one of the easiest side dishes to make, but since the prepackaged kind always go on sale, I rarely make them from scratch. Recently, however, organic potatoes have been on sale, so I have tried my hand at making my own. When potatoes go on sale, my favorite things to make are Steak Fries, Cream Cheese Mashed Potatoes, and even Hashbrown Quiche. I think making these dishes from scratch taste so much better, especially when in my seasoned cast iron skillet! My favorite ways to serve these? 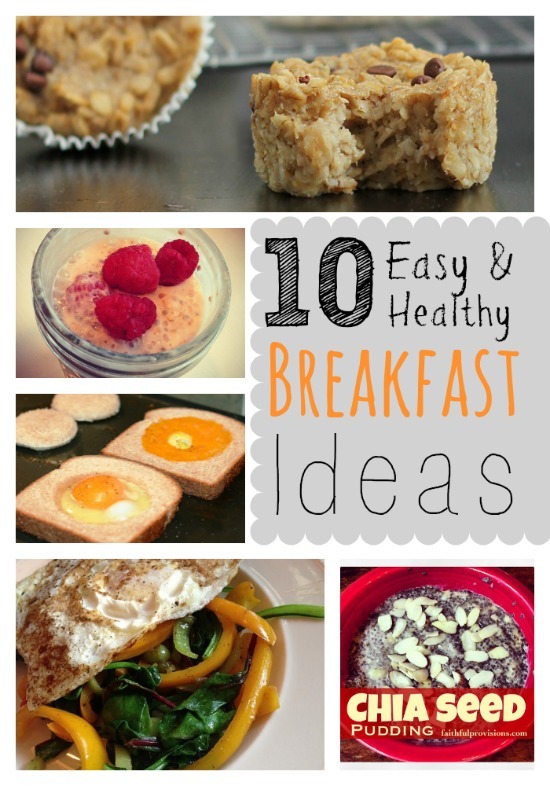 How about alongside a breakfast or brunch, preferably my favorite Breakfast Burrito with Spinach and Bacon. They’re also great with an easy quiche (or as my children say, “egg pie”). And of course, they are very comfortably paired with plain ole eggs and bacon. If you have been to the famous IHOP you know there are so many ways you can serve these, but I prefer with a little Seasoning Salt and Frank’s Hot Sauce. Enjoy! Heat a cast iron skillet or non-stick pan on medium high heat. Generously coat the bottom with your favorite oil, let heat a few seconds, then drop in the potatoes. Cook potatoes 5-8 minutes or until they begin to soften and get golden brown. 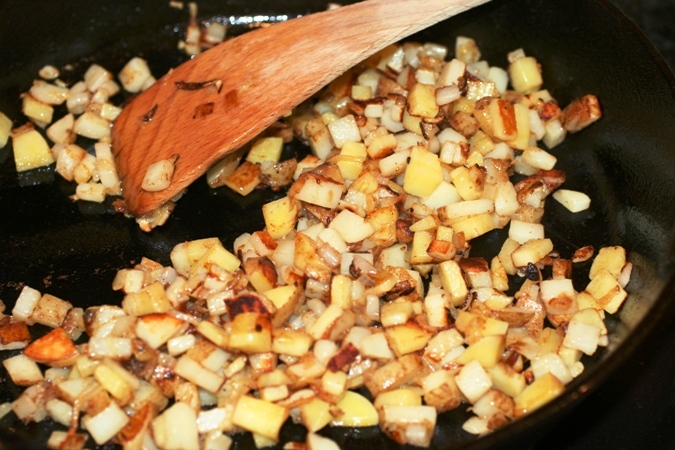 Saute onions in one half of the pan until soft and start to caramelize. Combine potatoes and onions, then sprinkle to taste with seasoning salt. Top with your favorite toppings like hot sauce, ketchup, cheese, jalapenos, and more! What are some of your favorite ways to serve hashbrowns? I would love to hear your ideas.